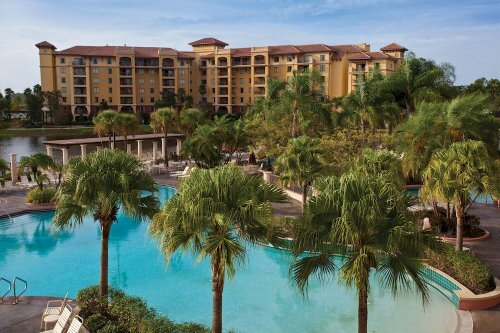 Our top Orlando vacation resorts and hand-picked and the best of the best. 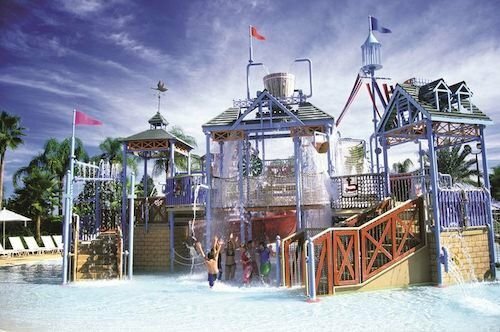 We've reviewed the top resorts here and on our other Orlando Family Vacation Resorts page. 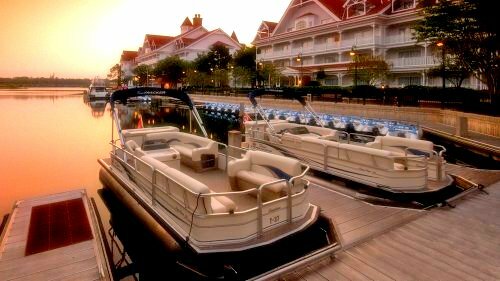 Location: within Walt Disney World, this resort is on the Seven Seas Lagoon. It's a short monorail ride from Epcot and the Magic Kingdom. Amenities:You'll find multiple pools, a spa, the supervised "Mousketeer Club", watercraft rentals and first class dining. Rooms: Accommodations are Victorian style with pale colours, Victorian fittings and spacious bathrooms. Reviews: have said: decent rooms, great location, nice rooms, an old favorite, room was impeccable. Location: close to Walt Disney Land and other theme parks. Rooms: Accommodations are 1,2 and 3-bedroom villas and multi-room houses with premium linens, kitchens, dining areas and daily maid service. Reviews have said: lot's of private space, can see the Disney fireworks at night, great place for a large family, spacious rooms. Many people love this resort and return numerous times. See the All Inclusive Orlando Vacation Packages. Location: Mediterranean style resort at Lake Buena Vista. One mile from Disney's Animal Kingdom, MGM Studios and Epcot. Amenities: Include freeform outdoor pools with hot tubs, lazy river and children's pool, game room, exercise facility, ping pong and billiards challenges, card tournaments, pool parties, sand volleyball and karaoke. For kids there are Frisbee games, arts and crafts, pool activities and treasure hunts. Complimentary transportation to Theme Parks. Rooms: Fully equipped condo balcony units with Cable television, VCRs and DVDs, living and dining rooms, full kitchens and bathrooms with jetted tubs. Reviews: Outstanding reviews are about the best for Orlando. Stay in class as close as you can get to Disney with the added luxury all. Location: It's inside the Disney gates amongst the Lake Buena Vista, theme park area near Disney's Animal Kingdom, MGM Studios and Epcot, Cirque du Soleil and golf courses. Amenities: Guests often rate this resort higher than Disney. On a lake with free form outdoor pools and hot tubs, a lazy river and a children's pool, game room, exercise facility are available, ping pong and billiards tournaments, there is plenty to do. The buses to Disney are complimentary and popular. Children's programs: Parents loved taking their children through mini-golf. Other activities include frisbee games, arts and crafts, pool activities and treasure hunts. Rooms: Families found they had everything the they needed to prepare meals comfortably. Fully equipped condos with living/dining rooms, full kitchens and hot tubs. There's leather furniture, tiled floors washers, dryers, VCRs DVD players and furnished balconies. Location: Grand Cypress Resort is comprised of 1,500 acres next to Disney. A sister hotel to the Hyatt at the top of the page with all its facilities. 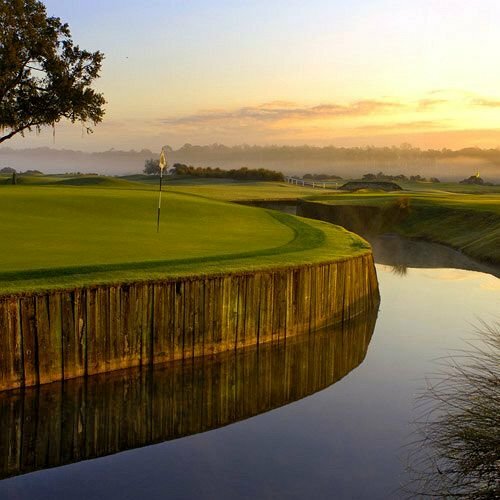 Amenities: 2 restaurants, Grand Cypress Golf Club (with 45 holes of Jack Nicklaus Signature-designed golf), Grand Cypress Academy of Golf, Grand Cypress Equestrian Center, two pools with waterfalls, waterslides, 9-Hole Pitch 'n' Putt golf, 24' Rock Climbing Wall, Game Room, Beauty Salon. Rooms: Not too many private terraces, with high-speed Internet, large-screen flat-panel televisions, large baths, wet bar and twice-daily housekeeping. Reviews: This resort has been credited with a whole lot of awards for golf, golf teaching, service, luxury and family friendliness by numerous authorities including an obscure Best Resort for Family Foursomes by Golf Odyssey. Obviously, this is a family golfing paradise and extremely popular in the reviews. The big luxurious villas that sleep 8 and the grand beauty of the place won visitors over wholeheartedly. 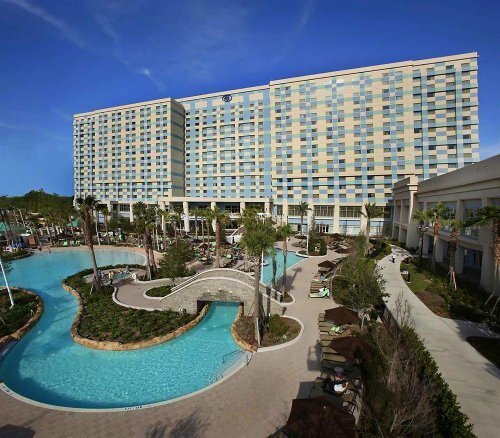 Have a great vacation at one of the luxury resorts in Orlando! If you didn't find what you were looking for, take a look at some other Orlando Luxury Resorts.